Host a Company Picnic This Spring! Celebrate the warm weather with a company picnic this spring! A company picnic is a great way for coworkers to bond with one another, while also enjoying the weather that spring brings. Learn more about the benefits of a company picnic by reading on. When hosting a company picnic, employees from various departments can integrate. In today’s business world, many employees in different departments only communicate via email or digital interactions. A company picnic can bring departments together, which can lead to improved communication and business. Another advantage to hosting a company picnic is you can strengthen the bonds and teamwork of your employees. When sharing personal time with one another, employees are able to connect on a deeper level, which can lead to improved relations and work ethic. Finally, show your appreciation to your employees with a company picnic. By providing your staff with some time off to enjoy one another’s company, you can extend a simple “thank you” for your team’s dedication to the company. When planning a company picnic, be sure to get the proper equipment. 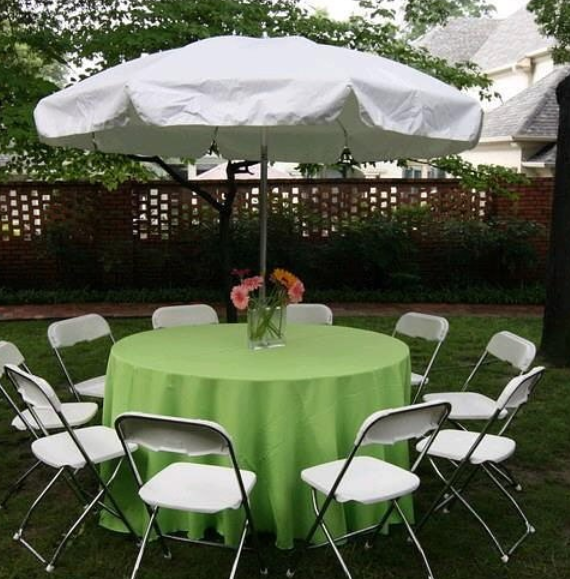 If you’re hosting an outdoor event, you should always consider renting a tent, as well as tables and chairs. At Pink Elephant Party & Tent Rentals, we offer tent, table, and chair packages, as well as additional accessories to make your company picnic one to remember. If you plan on supplying food at your company picnic, or want to keep potluck food warm, we offer catering equipment rentals. We also have fun food rentals, such as popcorn machines and cotton candy machines. Spoil your staff and encourage bonding with these unique and nostalgic rental options. We even have party extras, such as fans, coolers, dance floors, corn hole, and so on, so feel free to get creative with your company picnic planning. To start planning your party today, call Pink Elephant Party & Tent Rentals at 631-357-3561!